This GPS-enabled watch will tell how far and how fast athletes are going in real-time. From a loop around the block to the next race, just press start and the Garmin Forerunner 110 will do the rest. 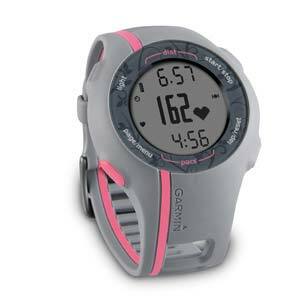 3 Responses to "Garmin Forerunner 110 GPS-Enabled Sport Watch with Heart Rate Monitor (Pink)"